Sorry, GeekVape Griffin RTA Black has been discontinued. 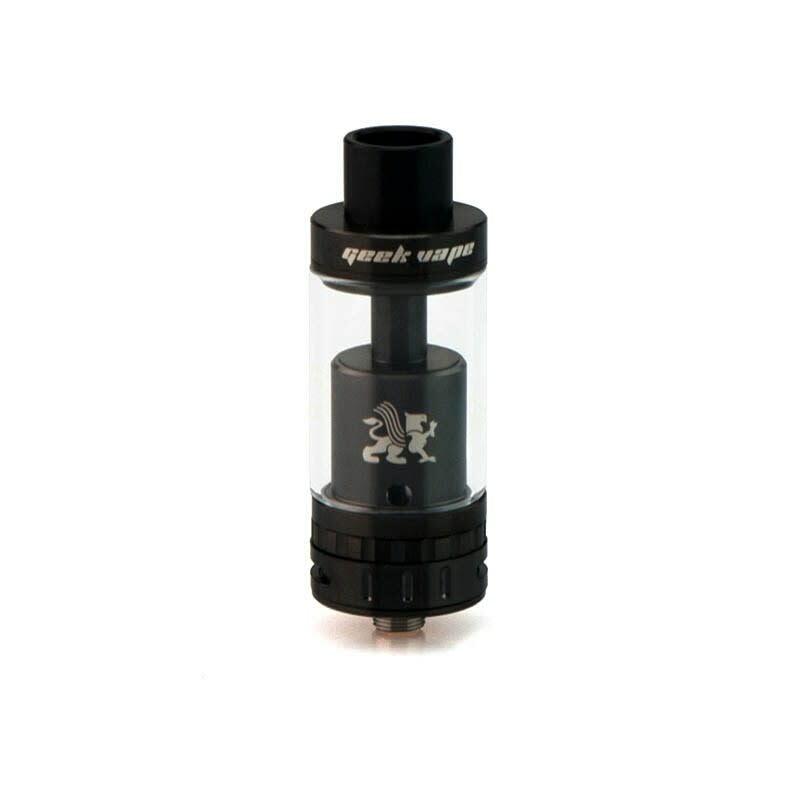 This is the Black version of the GeekVape Griffin RTA Tank, a rebuildable clearomizer for advanced vapers looking to build and wick their own coils as in a dripper, but benefit from the advantages of a sealed tank as in a clearomizer. 180 Smoke now offers this sleek black edition of the excellent Griffin RTA by GeekVape. The Griffin tank is a rebuildable clearomizer for advanced vapers looking to build and wick their own coils as in a dripper, but benefit from the advantages of a sealed tank as in a clearomizer. With its huge Velocity-style dual post building deck, with 2mm post holes, it allows for complex coil builds such as clapton coils. It is also top filling for more convenience when refilling your ejuice on the go. The Griffin boast a stainless steel construction, with a 3.5ml pyrex glass tank, and measures 48.5mm in height and 22mm in diameter. It also includes a 10mm Delrin thermoplastic drip tip, and a set of replacement o-rings.